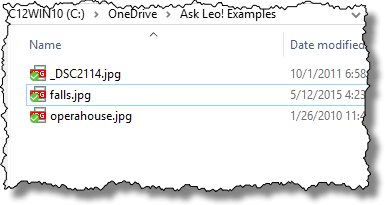 Recover Deleted Files in OneDrive - Ask Leo! If you're using OneDrive for your regular work, its Recycle Bin provides an extra layer of backup and protection. You’ve deleted some files on your computer, and you’ve emptied the Recycle Bin. Now you wish you hadn’t deleted that one important file. Whoops. 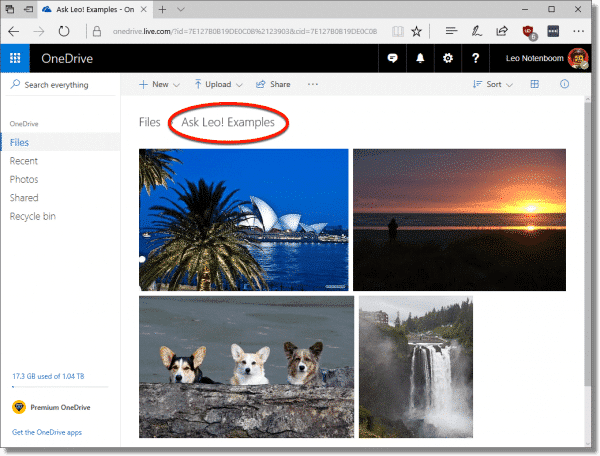 If you’ve been doing your work within your OneDrive folder, however, there is hope. 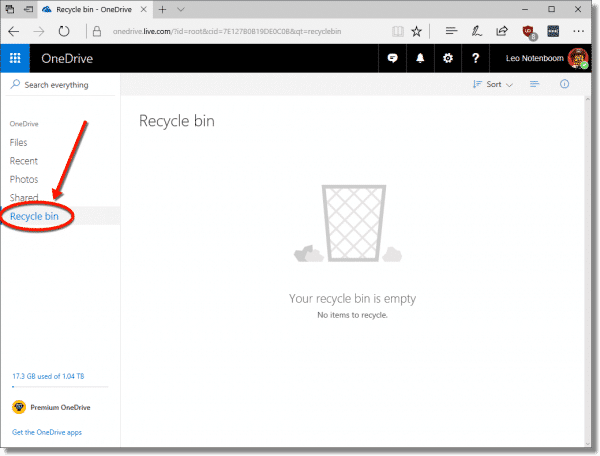 Did you know OneDrive has a Recycle Bin of its own? For the longest time, I didn’t. It wasn’t until the scenario I outlined above actually happened to me1 that I found it out of desperation. OneDrive’s Recycle Bin works just like the Recycle Bin on your PC: when you delete a file in your OneDrive folder, it’s not really deleted, but instead moved to your OneDrive Recycle Bin. OneDrive’s Recycle Bin is completely separate from the one on your computer, and has different rules about how long it keeps things. Your computer’s Recycle Bin permanently deletes older files to make room when it fills up. The OneDrive Recycle Bin permanently deletes files after 30 days. For this example, I’ll start with four files in a OneDrive folder. Those files are on my computer, in a subfolder of my OneDrive folder called “C:\OneDrive\Ask Leo! Examples”. Since they’re in my OneDrive folder, they’ve also automatically been uploaded to my online OneDrive account. For clarity, my OneDrive Recycle Bin is empty. You can view the contents of your own OneDrive Recycle Bin by clicking on the Recycle bin item on the left-hand menu in OneDrive online. On my computer, I delete one of the files. Within a few seconds (or minutes, depending on your internet connection), that deletion is mirrored to OneDrive online, and I’m left with only three files in both locations. In OneDrive online, click on that Recycle bin link in the left-hand menu to view a list of files deleted in the last 30 days. In my case, that’s the file I just deleted. Right-click on the file you want to restore, and click on Restore. The file will be restored to its previous location in your OneDrive folder online. 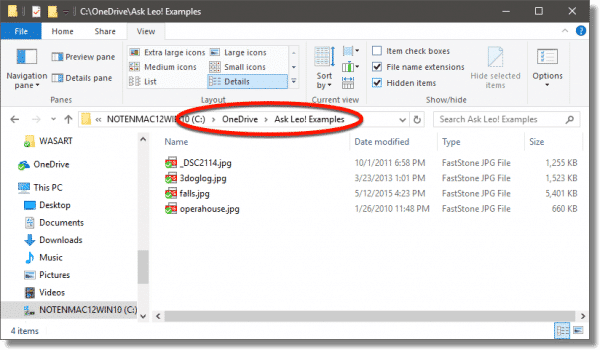 As soon as your computer’s OneDrive app synchronizes (typically in a few seconds or minutes), the file will reappear on your computer as well. As a matter of safety and general philosophy, you should never count on the Recycle Bin being there. I say that because I hear from people who purposely place things in their Recycle Bin and are surprised when those things disappear — either through the mechanisms I described earlier, or through explicit Recycle Bin cleaning. The Recycle Bin is not meant as a place to keep things; it’s a safety net and nothing more. If you want to keep files, but want them out of your way, create and manage your own folders. Then you remain in control. This applies to the Recycle Bin on your computer as well as the one in OneDrive. They’re both good safety nets. Like any safety net, you hope you never need it, and should take action to avoid relying on it. I Thought I Deleted these Files; How Were They Recovered? - Files may be gone, but frequently they're not forgotten. Depending on the scenario, files you thought were deleted might be easily recovered. 1: Fortunately, given my propensity to back up early and often, my reliance on OneDrive turned out to be a convenience, but it can be very convenient. Depending on your own backup strategy, it can be downright life-saving. « Previous post: Why Can’t I Just Use One Password Everywhere? Thanks for teaching us about ‘this recycle bin that separately exists’ on one drive online in a non-synchronized manner. I was completely unaware of this feature. The ask leo articles have become a part of my life and I get a smile of happiness on my face when I see an email from ASK LEO in my mailbox. Personally, I do not use recycle bin and always use shift+del command. I just think deeply more than once before erasing anything or formatting any hard drive or CD. Since this prolonged practice has made me so perfect, the phrase “you’ve deleted some files on your computer, and you’ve emptied the Recycle Bin. Now you wish you hadn’t deleted that one important file. Whoops.” makes me laugh and remember my childhood days when I, while having never learned the shift+del command, used to work on windows 95 and used the recycle bin.